The purpose of passive shielding in magnetic resonance imaging (MRI) installations is two fold. On the one hand, the shields reduce external noise and hence enhance the overall resolution of the imaging system. On the other hand, it reduces the magnetic field external to the MRI room to levels required by regulations. Passive shields are usually massive structures requiring large amounts of material. Their design and optimization is therefore important both from a cost and a weight point of view. The present work discusses issues of design, modeling and performance of shields based on iron plates, usually used to reduce cost. A Finite Element model suitable for design is discussed together with results for a number of shielding configurations. The methods used are general and applicable to other types of shields. 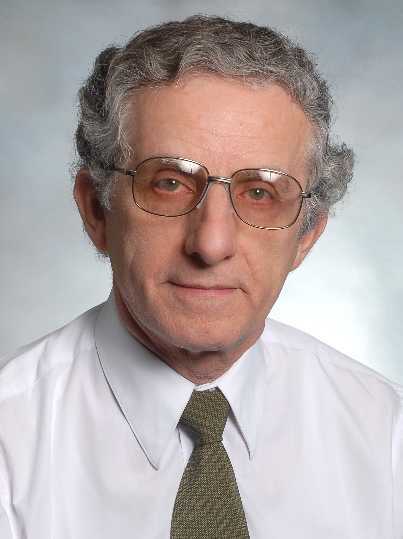 Nathan IDA is Distinguished Professor of Electrical and Computer Engineering at The University of Akron in Akron, Ohio, USA. His current research interests are in the areas of numerical modeling of electromagnetic fields, electromagnetic wave propagation, theoretical issues in computation, nondestructive testing of materials at low and microwave frequencies as well as in communications, especially in low power remote control and wireless sensing. Dr. Ida has published some 260 papers on electromagnetic field computation, parallel and vector algorithms and computation, nondestructive testing of materials, surface impedance boundary conditions, electromagnetic and microwave sensors and others. He has written six books, two on computation of electromagnetic fields a third on nondestructive testing with microwaves, a textbook on electromagnetics, now in its third edition, a monograph on surface impedance boundary conditions and a textbook on sensors and actuators. Born in Romania in 1949, he received his BSEE and MSEE from the Ben Gurion University of the Negev in Israel in 1977 and 1979 respectively. In 1983 he received his Ph.D. in Electrical Engineering from Colorado State University in Fort Collins, Colorado. Dr. Ida is a Fellow of the Institute of Electric and Electronics Engineers (IEEE), a Fellow of the Institute of Engineering and Technology (IET) a Fellow of the American Society of Nondestructive Testing (ASNT) and a Fellow of the Applied Computational Electromagnetics Society ACES). Dr. Ida teaches Electromagnetics, Antenna Theory and Electromagnetic Compatibility and Sensing and Actuation.